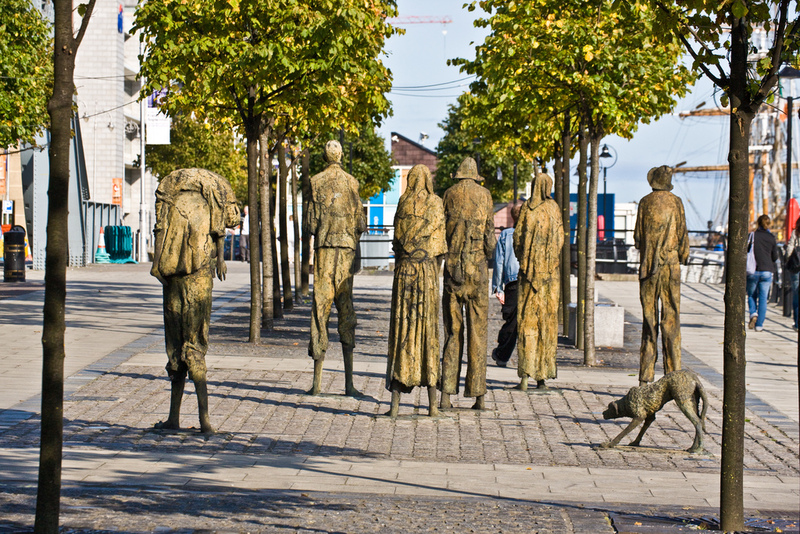 The Irish famine of 1845-9 caused a million deaths out of a population of about 8.3M. There were a further million refugees from Ireland who went mainly to mainland Britain and the USA. This entry was posted in History, photography and tagged Dublin, Hungry 40s, Irish famine, Refugees. Bookmark the permalink.